I honestly don't even know where to start..so forgive me if I ramble a bit. I guess the best place to start is RIP Don Cornelius. Innovator. Trailblazer. Icon. Legend. The list goes on and on. I woke up this morning to the news that Don Cornelius had died. For those of you that don't know..Don is the creator and the original host of the show Soul Train. I sat here in shock for several minutes then boo hoo'd my face off as if I had lost a family member. I guess technically I have. Many of you know I am a contributor/writer to the soultrain.com website, so in my head at least, I am a part of the Soul Train family..in a distant cousin kind of way? maybe? Just go with it. Everyone has Soul Train memories of some sort. I always ask the artists that I interview to tell me about Don, what was he like? What kind of advice did he give? I also always ask them to tell me their favorite memories of the show. I always LOVE their answers. So, I thought what better way than to honor a man that paved the way for so many than to answer my own question. So, Meik.. What is your favorite Soul Train memory? I can recall that growing up Saturday morning was "clean up" time at our house. My sister and I would split it up, one take the upstairs, the other take downstairs.. I'd always want downstairs so I could sneak and watch Soul Train and pretend I'm cleaning with no one around..I mean, yeah mama (I know she's reading)...it really took me an hour to dust and vacuum.. I'd vacuum during the commercials. LOL. But I'd stand in front of the TV..and I'm talking right up on the damn thing and I'd watch and listen to Don's interview style and I'd take in the responses the artists gave, and of course I loved to watch the performances and the dancers. I LOVED the Soul Train line, shoot, I still love doing it now. (Ya'll know how WE do lol) Then when Shemar Moore started hosting my focus changed to drooling over him, but that's another story..and this ain't the time for that. But, I have to say my favorite episodes of all time is when the Jackson 5 performed Dancing Machine and Michael did the robot on ya'lls arses and it was like WHOAAAAA...Did he just?? He did!! That was a sign right there..that he was about to change the dance game foreverrrrrr Moonwalk anyone? (of course I saw that episode in reruns) and I also loved the episode when Marvin Gaye was on there ..1974 (I wasn't born yet..so again, reruns) but his honesty and candid responses to the interview questions Don and the Soul Train gang threw his way made me love him even more, and I realized..he was absolutely hilarious in addition to being talented. I could go on and on with the episodes that I love, but we'd be here all day. Even today, every time Centric or Bounce TV shows a Soul Train episode, I stop what I'm doing and stand right up on the TV as if I'm 12 years old all over again, mesmerized that people that look like me (black that is) are on television on a music based show. Now if you recall my blog back when MJ died in 2009, I told ya'll that I was always interested in interviewing people, shoot, ask my sister, she was who I practiced on..and if she didn't want to play right, I'd interview my damn self LOL. But, I say all that to say.. here I am nearly 20 years later, still mesmerized by the groundbreaking show that Don Cornelius had the foresight to create. I thank him for giving our artists a place to showcase their music, fam, not every African American artist could just run over to American Bandstand back then (learn your history), I thank Don for laying down the foundation and building a show that everyone could enjoy and talk about for years to come, I thank Don for his vision, because soultrain.com wouldn't even exist today without him. I especially thank him because without him, I wouldn't have the opportunity to write for the website. Writing for Soul Train has been one of the most rewarding experiences in my career thus far. I get to interview some of the same artists that Don once interviewed, some of the artists that appeared on the show, it's totally surreal. Talking to the artists that I watched on television growing up, the artists that only Don would lend his spotlight to and allow them to show the world their talent..I can't really explain to ya'll how it feels, except to say that every interview that is published to the website, I would often wonder if he was reading them and hoping that I did them justice just as he did years ago. I am grateful to artists like Kashif,Betty Wright, Lenny Williams, Cherrelle, Alexander O'Neal, Christopher Williams, and the list goes on and on..I thank you guys for sharing your memories of Soul Train and Don Cornelius with me. A lot of people often ask me why I interview "old school" artists, and my answer is 1. Because I mofo'n want to and 2. For those that don't know a lot of the artists, and don't know their story, I want to tell their stories so they aren't forgotten and so that people know where the music today comes from, Don didn't give these artists an outlet for them to be forgotten about, why not talk to them, and learn more about how they got to where they are and what they think of music today. Anyway, after all this rambling, it boils down to one thing: Thank you Don Cornelius for breaking down racial barriers and allowing us to come along for a funky soul filled ride. You will be missed, but because of you, Soul Train lives on. 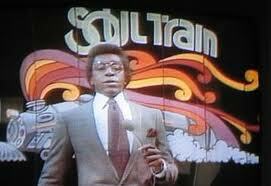 Love, Peace, and Soul..
Share your favorite Soul Train memories with me! Don Cornelius left a legacy that will always forever be remembered, he help to change the face of television in the entertainment world and gave african americans something to call their own...Don Cornelius a Legend. I remember Soul Train on Saturday mornings too and Don will definitely be missed. Nice portral of his memory.